The gaming smartphone fad has been around for a while following the launch of the Razer Phone, as several brands launched their own gaming phones, including nubia Red Magic (review) and the Xiaomi Black Shark (first impressions). However, India has remained untouched by this wave of gaming smartphones, that is until now. ASUS has gone ahead and launched its much anticipated ROG Phone (first impressions) in India today. The smartphone has the Snapdragon 845 SoC clocked at 2.96GHz, IPX4 rating for a splash-resistant body, a large battery, and 3D glass and metal body. The Taiwanese handset maker has launched its first ROG series gaming smartphone in India as a Flipkart-exclusive. As for the configuration, the ROG Phone price in India has been set as Rs 69,999. It goes on sale in India starting today and will be available with no-cost EMI for 12 months on all debit and credit card transactions. Jio customers will get cashback of Rs 5,000 over a 20-month period in the form of vouchers. Flipkart and ASUS have partnered to provide users with mobile protection plan worth Rs 5,000 for Rs 999, along with door-step pick-up and delivery in case of servicing. ASUS has launched a number of accessories for the ROG Phone in India to complement the gaming experience. These include the Professional Dock, Desktop Dock, and TwinView Dock for Rs 5,499, Rs 12,999, and Rs 21,999, respectively. There’s also the GameVice joystick at Rs 5,999 and the ROG Phone case at Rs 2,499. The handset will be bundled with accessories such as the AeroActive Cooler, Zenear Pro headset, and the 30W charging adapter. Coming to the spec sheet of the handset, the ASUS ROG Phone has been equipped with a 6-inch display with an 18:9 aspect ratio, full-HD+ resolution, 90Hz refresh rate, and 1ms response time for blur-free visuals. 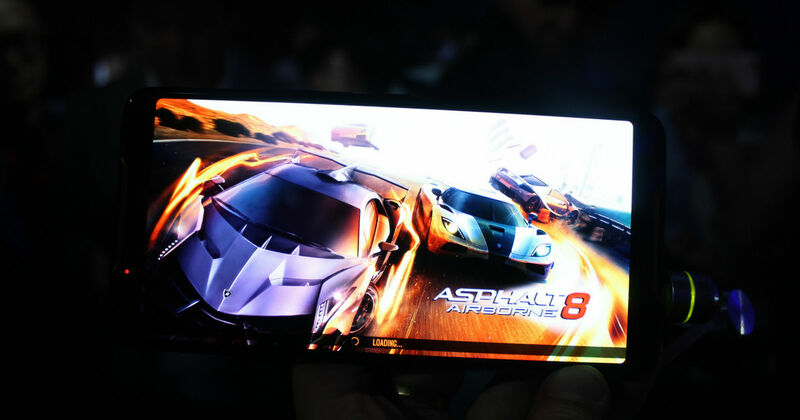 As a loaded gaming smartphone, the smartphone gets the latest and greatest Qualcomm Snapdragon 845 processor overlocked to 2.96GHz, with Adreno 630 GPU and 8GB of RAM ticking at its core. It will come with 128GB of internal storage; the 512GB variant of the smartphone is not coming to India. The smartphone boots Android 8.1 Oreo-based ROG Phone UI with a dedicated Game Center out of the box. ROG Phone comes with a X Mode that can free up RAM and maximise the efficiency of the AeroActive Cooler, while its Game Genie can livestream games. Though the handset does not have a 3.5mm earphone jack, The AeroActive Cooler has the audio jack as well as a Type-C port; it also can reduce the surface temperature by up to 4.7-degree Celsius. For heat dissipation, the phone has multi-layer cooling system with a cooling pad, copper heat spreader, and 3D vapour chamber. The handset is also the world’s first to offer RGB lighting at the rear, which can be customised. The smartphone also has programmable Air Trigger touch sensors for in-game controls and haptic feedback as well as dual 5-magnet front-firing speakers with dual NXP amplifiers and DTS 7.1 surround sound. For imaging, the smartphone offers a 12-megapixel + 8-megapixel setup on the back, with the former having the Sony IMX363 sensor with f/1.7 aperture, 1.4-micron pixel size, OIS, EIS, Night HDR, and 4K recording support. The handset also has an 8-megapixel camera with 120-degree wide-angle lens on the front. Powering the smartphone is a beefy 4,000mAh battery, and it comes with ROG Phone power adapter that supports Qualcomm’s 30W Quick Charge 4.0 technology. As for connectivity, the ASUS ROG Phone offers Wi-Fi, Bluetooth, GPS, USB Type-C Port, rear-mounted fingerprint sensor, and 3.5mm audio jack.